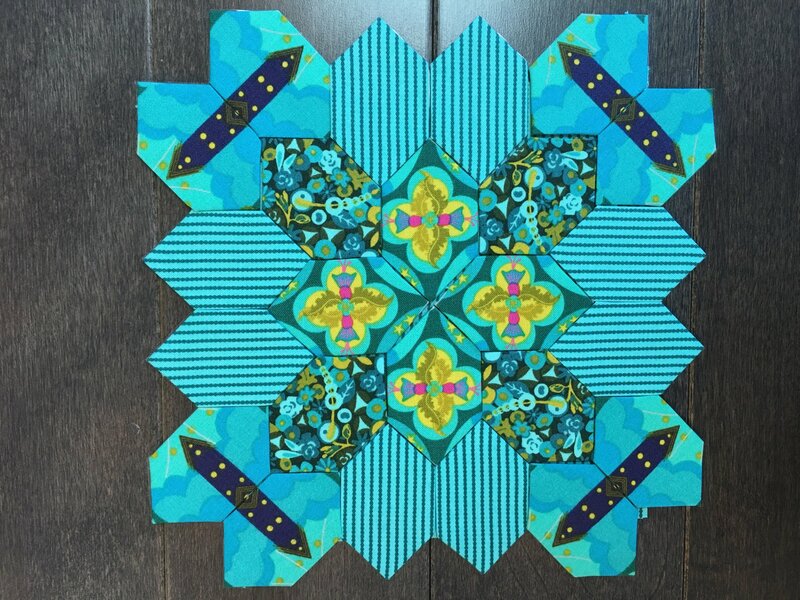 Every Monday evening (EST) we will list a Karen's take on a NEW Lucy Boston block kit. The kit will be available for two weeks (or until it sells out)! This weeks kit includes 5 fat quarters and a pack of (50) 1" inch honeycomb papers, plus instructions for English paper piecing and fussy cutting. Each kit will make at least 2 blocks and potentially more. Keep an eye out each week for Amelia's Garden & Karen's take on the next kit with new fabrics! NOTE: Need the acrylic honeycomb template , a glue pen, or refills? You can find those in the English Paper Piecing section of our website.